Somewhere between its pristine beaches and clear blue skies lies a special side of Anguilla that too often goes overlooked. 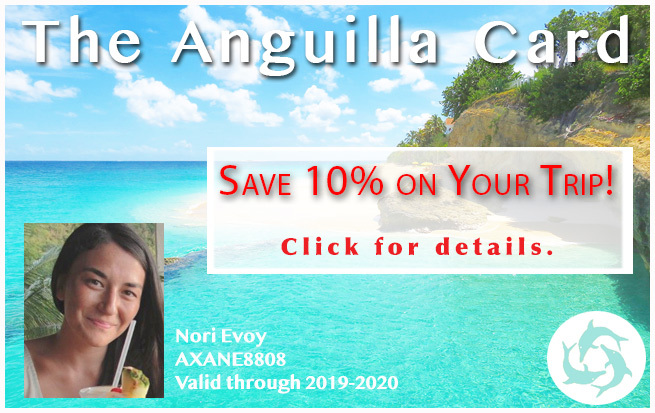 Steeped in rich history and diverse in landscape, it is a part of Anguilla that deepens appreciation for the island's contrasts, and connects you ever more strongly to its soul. To know it, it is best to experience it. 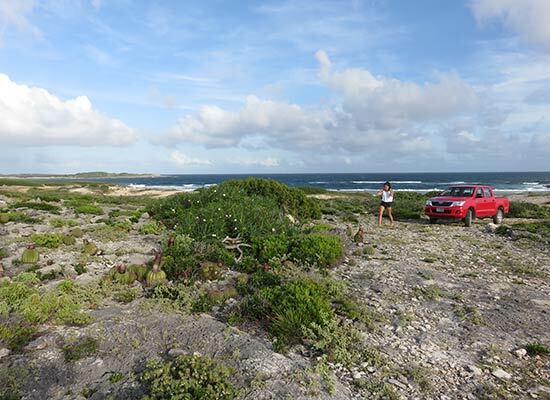 And, with a window to the past, Mr. John Lloyd of Surf AXA Eco-Tours takes you on the most enriching journeys through that Anguilla, the real Anguilla. 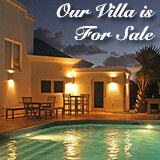 Born in the 1960s, John Lloyd is an authentic figure in Anguilla. 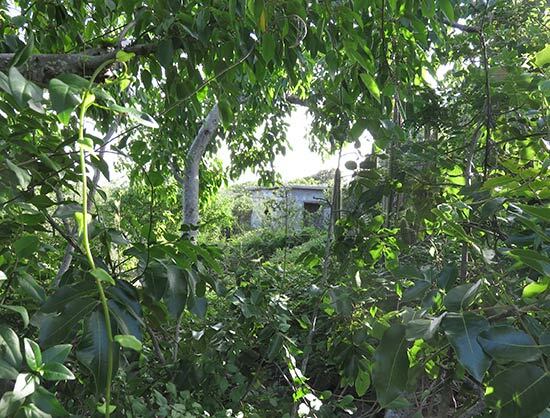 He is perhaps most famous for having discovered one of Anguilla's most culturally significant and important heritage sites in the 1980s: Big Spring, which dates back to 600AD. 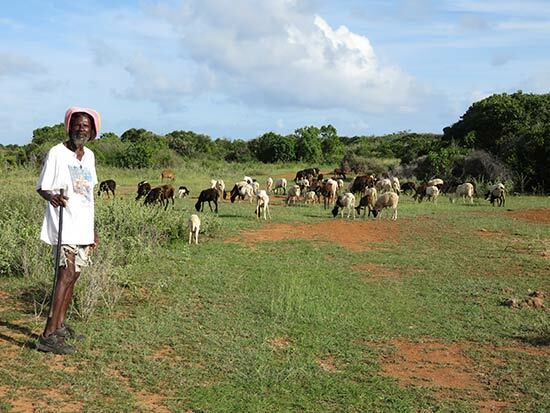 Revered for his vast knowledge of both pre-modern and modern Anguillian history, his natural wisdom and passion for Anguilla translates into interesting, on-point and smart ideas for shaping the island's future. One example? He is also the man behind the ever-growing and popular yearly celebration, Festival Del Mar. 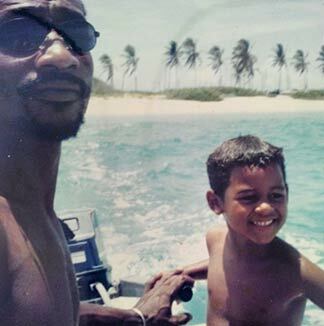 His two sons, pioneers in their own right, Akio and Ravi Lloyd have uncovered the best surf breaks in Anguilla, and work hard to inspire the island's youth. 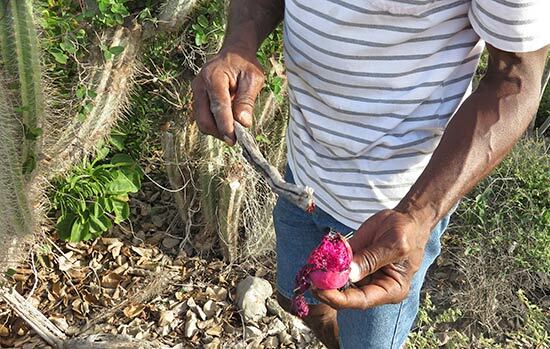 An interesting family who care deeply about their island home, we were ready to discover Anguilla all over again, this time through the eyes of John Lloyd. 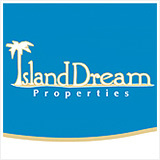 John knows the island like the back of his hand and has a number of sites he likes to share. 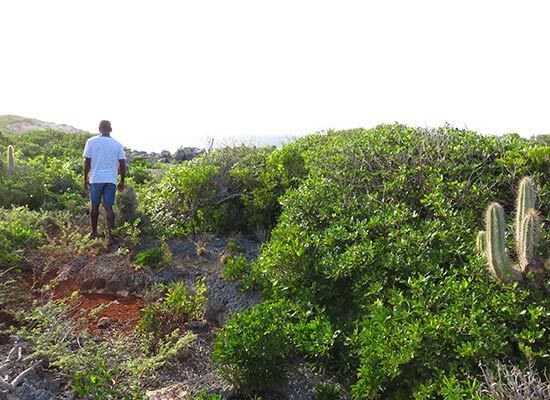 His favorite is by far the East End of Anguilla, his home. On a late afternoon, we met up with John at Nat's Palm Grove at Junk's Hole. First stop? 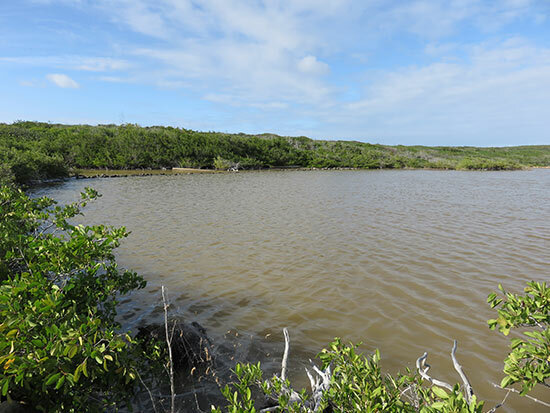 Junk's Hole's Salt Pond. Located just behind Nat's beach bar, I am embarrassed to admit that despite our frequent visits to Nat's, I had never noticed this salt pond. 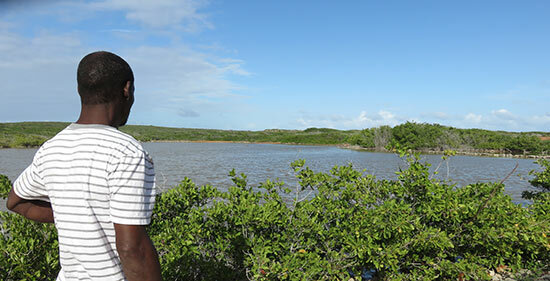 John laughed as I revealed that fact, and shared the significance of the salt pond. "Notice how this beach is the one beach with two different names, Savannah Bay and Junk's Hole? That's because the land here was owned by two different families, two different plantations. Nat's in-laws and relatives would have owned this land, and this particular salt pond. It was used to make salt." The stone walls were erected to contain the salt, and filter out fresh water. 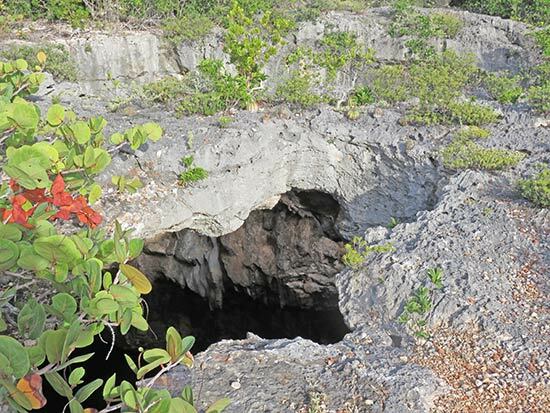 Unlike the salt pond in Sandy Ground, which was equipped for larger-scale manufacturing, shipping salt to other islands, the salt collected here was used by the community. "This was pre-refrigeration, so salt was particularly useful for curing fish, beef, before we got electricity in the 70s," he explained. 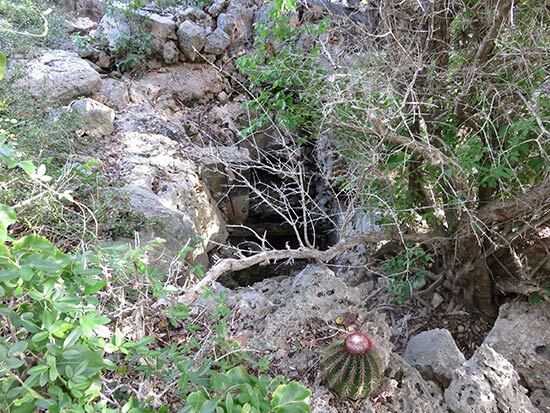 Equally important as the salt pond is another aspect of Junk's Hole, the far more hidden, Junk's Hole Well. Through a few twists and turns, we walked the fertile land, red in earthy tone, leading to the well's entrance. 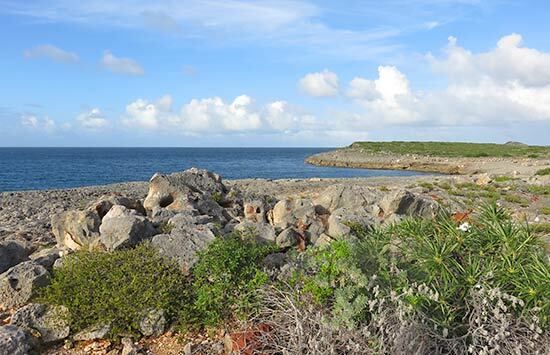 The breeze gently blowing, the roar of the ocean in the distance, this part of Anguilla is utterly unique. 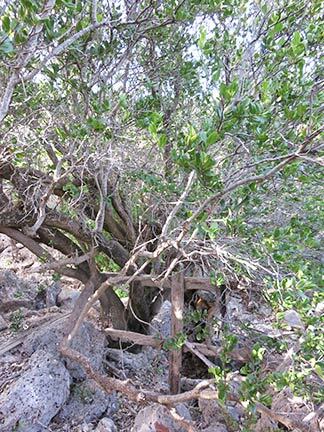 Dusty and dry, walking the land makes you realize how desert-like Anguilla truly is. 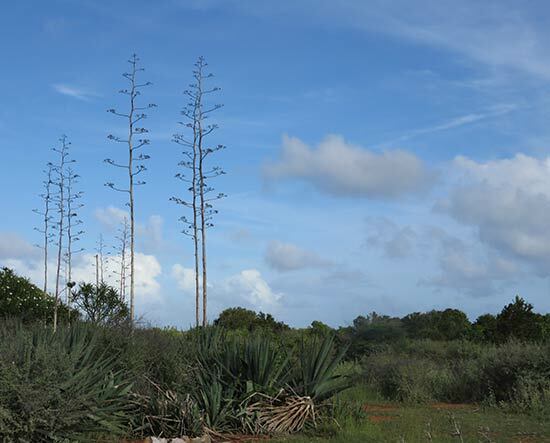 Marked with cacti and yuccas (called "Fiber Poles" in Anguilla), the Fiber Pole is especially picturesque in its stark features. John explained how strong and sturdy these trees are, and that his son, Akio has even crafted surfboards from its wood. 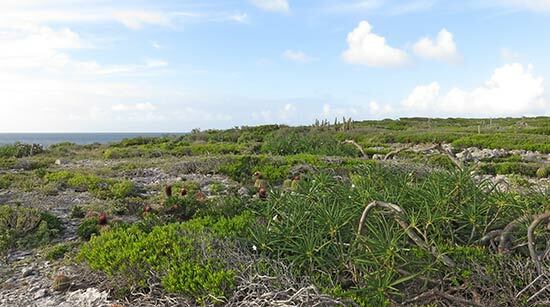 This type of desert beauty is unique to Anguilla. 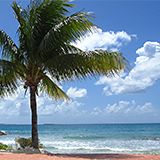 There are few Caribbean islands that enjoy the crisper, desert air and, due to the topography, boast powdery-fine sands and azure waters. 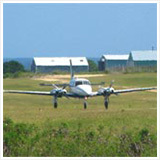 Similar islands would be Barbuda, Anegada and Turks and Caicos. 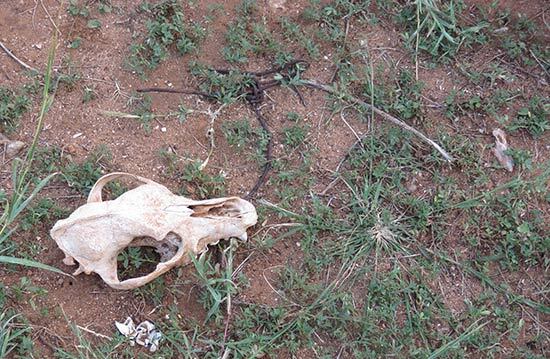 John pointed out, though, that this particular plot of land is not barren. 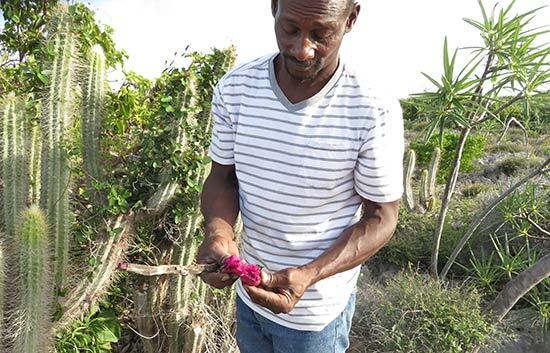 He and his family would cultivate this land, growing sweet potatoes and pigeon peas. In those days, the community would hold "jollifications," where the women would prepare food and sing songs as the men broke the ground and worked it. 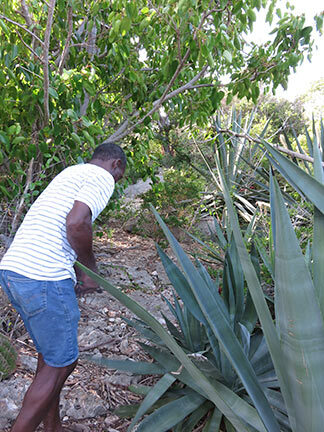 As we reached the original stone entrance to the Junk's Hole Well, John explained that the food they harvested would later be brought to and sold in St. Martin. Well, before it was the marina it is today, that is where we would bring pigeon peas to sell. We would take the ferry over. But it wasn't the ferry you know. They were sailboats. They would go over in the morning and come back in the evening. It took 45 minutes. Everyone would pile in, with ropes swinging above your head, goats and other livestock in the bow. They would even bring trucks back on the sailboats by strapping dinghies together, attaching them to the sailboats and putting the truck on top of the floating dinghies." 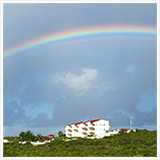 Looking at Anguilla today, it is hard to believe that those times were just one generation ago. Up a rocky path and beneath a canopy of leaves, we approached the well. John jumped over to the far side of the well as we gingerly made our way to peer down inside. Surrounded by thick trees and cacti, it's a pretty sight and extends about 35' down. 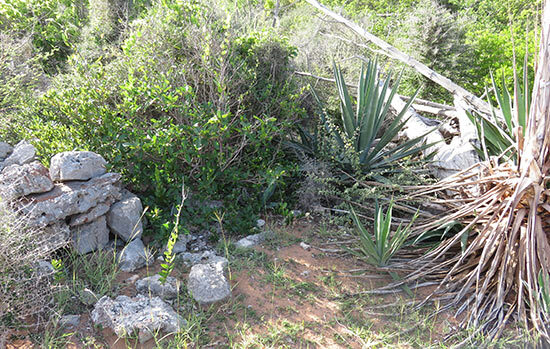 "The water in this well was used for animals," John explained, evidenced by a water trough. 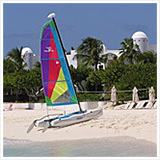 Although Anguilla's desert climate and sunny skies make for blissful day after blissful day of clear weather, back in those days, that was more of a curse than a blessing. There was no purchasing of water back then, "so we would just make do in droughts," John said. Families tended to have large basins that would collect rain water for drinking. Or, they would use the natural spring water, which every salt pond has. The pumphouse itself would hold collected water. Abandoned today, it pre-dates John with the year 1962 inscribed inside, and is likely much older, with the well even pre-dating the pumphouse. On the way back, we bumped into one of John's childhood friends, his neighbor who was bringing his sheep home for the day. We had to ask John, "Did you plan this?" He laughed. Each site on John's tour was even more impressive than the next, and the upcoming stop would be no different. We took a left turn and were on our way to the island's very eastern and remote end, the windswept Windward Point. 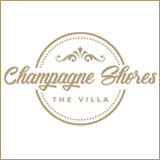 We passed Captain's Bay and Exclusivity Villa, and then it was just us, the wind and the sea. 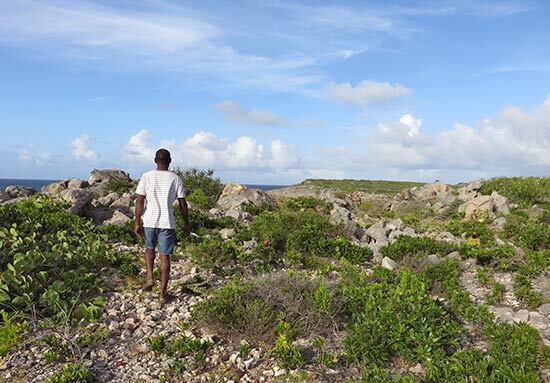 Completely free of buildings and paved roads, the far East End of Anguilla is deserted. 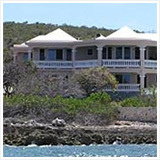 Exposed to the elements (big waves and wind - most of Anguilla's winds come from the east), it feels nothing like the Anguilla you have left behind. It is raw, remote and real. With no one around for what feels like miles, there is something invigorating in the clean and pure salty air that washes over the Windward Point area. It makes you feel alive. Having hiked Windward Point many times, this is an area I thought I knew well. But, as it turns out, not as well as John! We were not in fact on our way to Windward Point, but an area just before Windward Point, Aberdam. 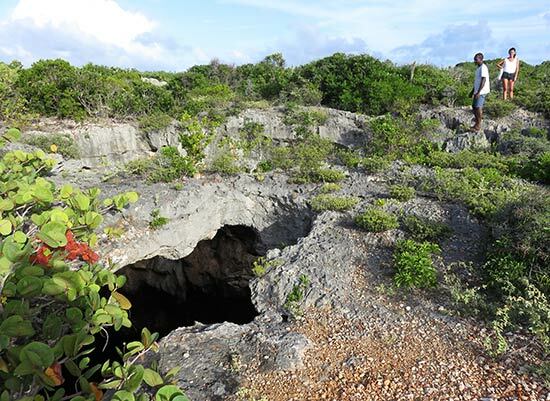 As we made our way through the cacti, John explained how this particular coastline (the North Eastern coast) is dotted with interesting caves, caverns and rock formations. 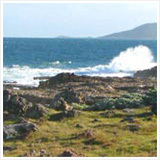 One area even forms a natural swimming pool in its rocky basin due to the waves that wash over and into it. Next time we will venture there! 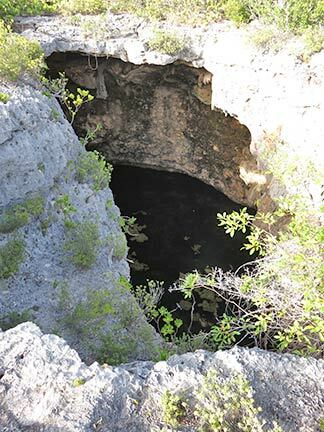 The cavern in the area referred to as "Aberdam." 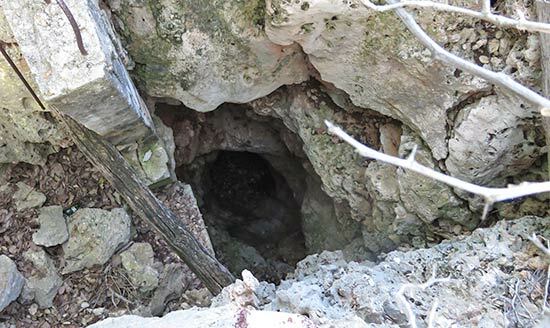 A gaping hole in the limestone, it is hard to say what has caused this phenomenon. Shallow and with water below, it is as though the limestone has been hollowed out over the years. It is impressive and ominous. Especially as the slabs of limestone that surround the cavern also appear to be giving way. ... is actually more like a bridge over the cavern. Cross the bridge, if you dare! "There is another opening on the other side," John explained. "We can crawl in there to get about 1/3 of the way inside," he offered. Less adventurous than most, my sister and I laughed and deflected the offer. If you're more adventurous, it would be worth the trek. Instead, we explored the coastline that makes up the entire area referred to as Aberdam. Vast and expansive, the rock formations are especially curious. Limestone coastline is dotted with big, round boulders all set on the same line, as if each had been purposefully placed. 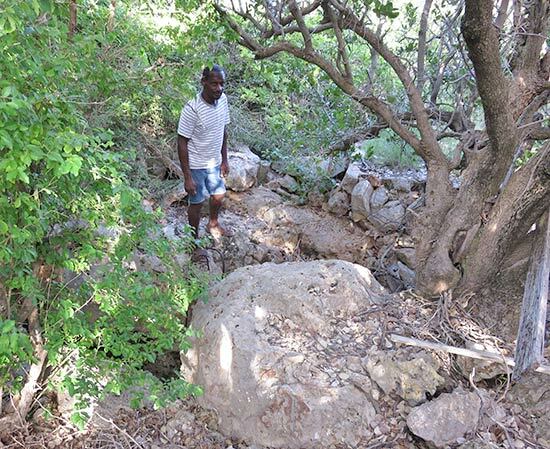 "The white marks on the rocks and on the limestone show that the boulders had been dragged," John explained. "A tsunami or large waves must have pushed these rocks from the ocean floor up onto the shoreline." Whatever the reason, the scenery takes your breath away. On our way to the final stop of the day, we noticed enormous fruits on the tall cacti that call East End home. Such sharp, exotic colors make for a captivating contrast against the cacti, don't they? Stepping foot inside a circle of carefully placed rocks, John explained the cultural significance of the East End. 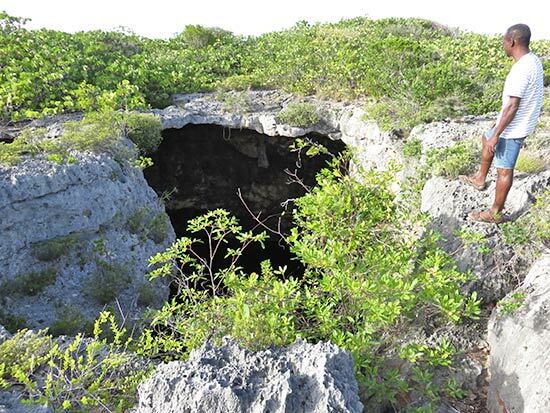 Amerindians would have used this site for various rituals, similar to Big Spring and to the Fountain Cave. 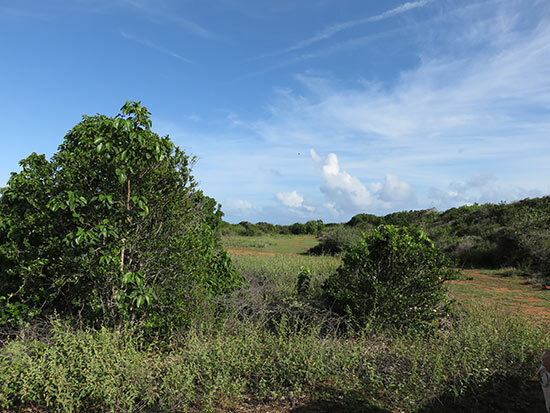 The whole area of East End was different in those days, with Windward Point Beach bordered by high dunes (similar to the dunes it had more recently) and the whole area being filled with tall trees, providing shelter. 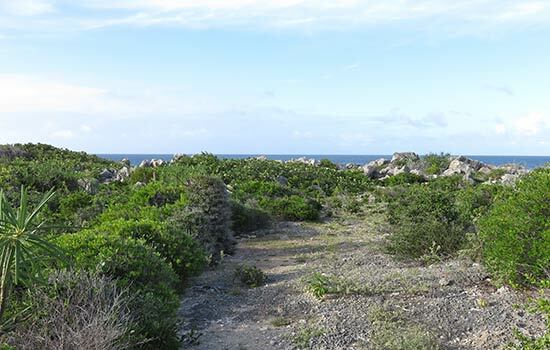 It is believed that this part of Anguilla was an Amerindian settlement, given the multiple sites. With the sun setting, and the winds strengthening, the air turned cold and it was time to head for home. 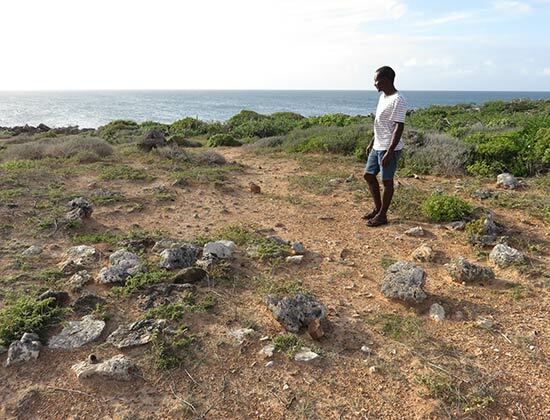 Thousands of years ago, this was the heart of Anguilla, and in many ways, it still is. Thank you, John, for sharing it with us. It is rare to experience history so dynamically. 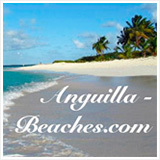 And, John brings a different slice of Anguilla to life in the most personable way! 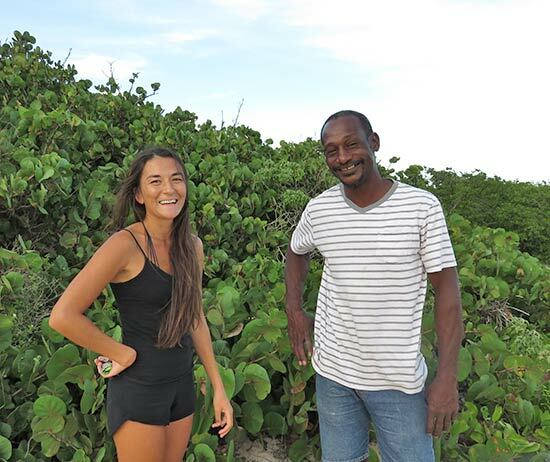 He offers a variety of tours, tailored to your interests and adventure levels: East End tours, salt pond tours, West End tours and even fishing tours. To contact John, refer to the information below.